The Council has worked with local, state and federal agencies and other interested parties for over 35 years to protect or improve the quality of the streams, rivers and lakes within the French Broad River Watershed. In 1975, the Council was designated by the Governor as an Area-Wide Water Quality Planning Agency. Funds from the US Environmental Protection Agency were used to prepare a Water Quality Management Plan for the region in 1979. The Council also administered a TVA funded River Improvement Program for about 10 years which addressed water quality issues, river access, and economic development along the river. The River has improved significantly, but many challenges remain. In recent years, the Council has worked with many partners to address water quality issues region wide in specific sub-watersheds of the French Broad River Watershed. For more information on assistance with water resource issues, contact Mary Roderick or Erica Anderson. 13 local governments in the region have formed the WNC Stormwater Partnership and are implementing a Regional Stormwater Education Program. Go to www.wncstormwater.org for more information on stormwater pollution and what your community can do to address this problem. LOSRC has partnered with the City of Brevard and other organizations to develop the Norton Creek Watershed Restoration Project. The project will fund studies, training, and demonstration projects that will advance the restoration of the watershed by improving water quality through activities that also support community revitalization and other local priorities. Several properties flood due to a culvert impoundment and aging stormwater system. Since the downtown area and large residential area drains to Norton creek, the Rosenwald neighborhood is the recipient of cumulative stormwater pollutants. This project will build on the GroWNC Project, a HUD Sustainable Communities Initiative, to engage the community through visioning exercises, an environmental education program, a recreation and access planning process, and a water quality monitoring program to engage local high school students in environmental careers. Anticipated project outcomes include a site specific recreation plan highlighting priorities for appropriate access to the creek, completion of a Streamwalk Investigation and Clean-up event to engage students and residents in increased stewardship, a Baseline Water Quality Monitoring Program, a watershed-level action plan for stream restoration and water quality improvement, and a watershed stormwater inventory to identify location and condition of the aging infrastructure system and potential sources of stormwater pollution. 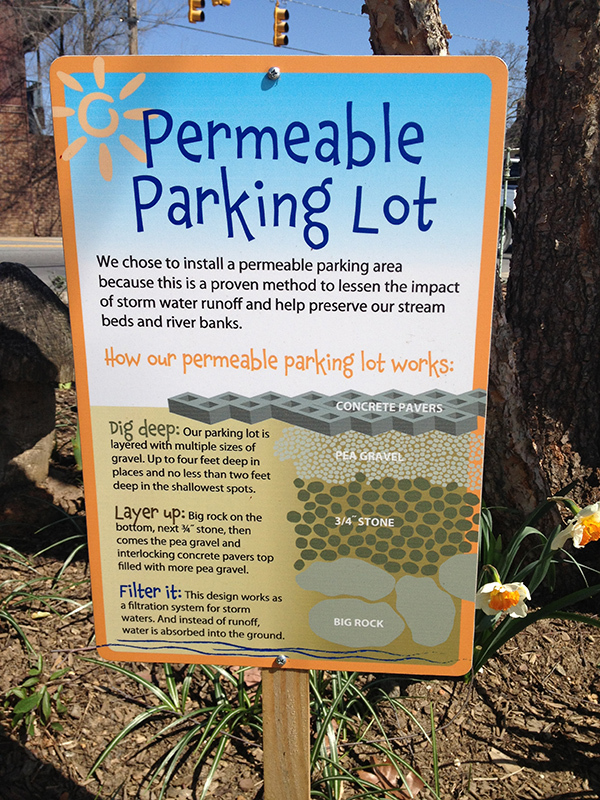 This project is made possible through a US EPA Urban Waters Small Grant. The project has the support of the NCDENR’s Division of Water Quality; City of Brevard; Transylvania County Cooperative Extension, Transylvania Community Improvement Organization; Transylvania County Soil and Water Conservation District; GroWNC Initiative; and Regional Brownfields Initiative.